lighter elements such as soil, trees, plants, and flowerbeds. Hardscapes are comprised of nonliving materials then while softscapes are made up of living things. This year, we have seen many trends in hardscaping, all of which add appeal to your yard and can complement your softscapes very well. One such trend is stone retaining walls. While retaining walls are installed for their usefulness in keeping soil level in uneven areas or slopes, they also improve the landscape with their attractiveness. Retaining walls can add a look of sophistication to an outdoor area. Not to mention they can provide extra seating for those backyard barbeques and birthday parties! 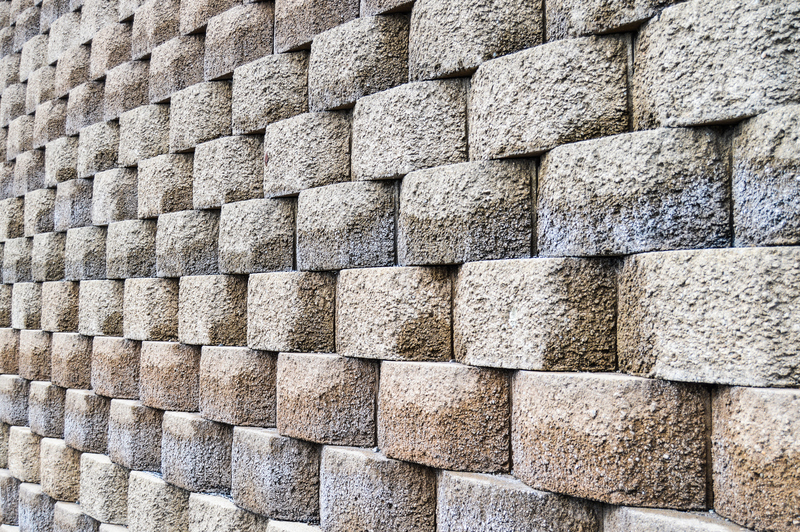 Because they are available in different colors, sizes, and textures, retaining walls can be tailored to suit your individual backyard design. Do it YOUR way and do it the right way, with J Bird’s. Another current trend in hardscaping is water features. Add a splash of style with a fountain or waterfall to your outdoor space and be amazed at the calming ambience it creates. An outdoor waterfall can transport you to a tranquil place of escape. Relaxing by yourself after a hard day’s work or with friends while entertaining will be easy to do once a waterfall is in place. The sound of running water is a natural, inner relaxant and brings a sense of peace to any outdoor living area. We are also seeing more and more outdoor fireplaces being installed. Fireplaces can add a sense of comfort and luxury to an outdoor space. Nothing beats cozying up to a fire with family and friends, and with an outdoor fireplace, you can do it all year long. Besides providing a fun, cozy, and relaxing atmosphere, outdoor fireplaces offer practical benefits such as added warmth, and with an installed fire grate, the ability to cook for your family or guests. You seem them in parks and public gardens; why not add one to your own backyard? In addition to providing shade on sunny days, gazebos also offer an expansion to your outdoor living space. Beautiful, practical, and adding value to your home, gazebos are another landscape idea growing in popularity. J Bird’s Landscaping can assist you with any of these trendy hardscaping projects. Don’t delay; contact us today for your free estimate. Call 412-224-0639.